Just because you CAN follow your visitors around the Internet, that doesn’t mean you should stalk them everywhere they go. Displaying your ads too often can decrease the performance of your campaign and make your target audience numb to your message. Most retargeting tools will allow you to put a cap on the number of times that your visitors will see an ad within a particular time frame. If you’ve ever deployed a lead nurturing program, you’re likely familiar with the concept of lead scoring. Similarly, with ad retargeting you can segment your audience into different categories based on their actions on your website to determine what stage of the purchasing cycle they are currently in. Remember, your goal is to provide your audience with the best experience possible and your retargeting ads are a prime opportunity to create a positive experience. Now this requires some testing, and may vary from campaign to campaign. Some advice recommends that your retargeting campaign should last as long as your typical sales cycle. However, you should test both long and short campaigns to see what resonates best with your target audience. A contributing factor to ad exhaustion can be utilizing the exact same creative design for each of your ads. Offer your audience variety by offering different versions of your retargeting ads, and overhauling the creative from time to time. There should be a common thread or design element that is present in all ads but you can offer variety in design. There are so many ad sizes available that it can be hard to keep them all straight. Google has provided some very handy image ad specs to help you determine how to properly size your retargeting ads to better serve your audience. These 7 tips may not guarantee the success of your paid search campaigns, but they will set you down the path to success and ensure that your audience has a good user experience when they see your advertisements around the web. If you’ve been considering incorporating retargeting ads into your digital marketing strategy but haven’t yet pulled the trigger, what have been your biggest causes for concern? 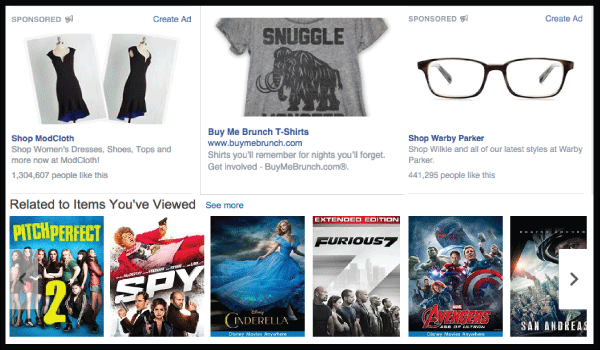 If you have deployed a retargeting strategy in the past, what were the biggest benefits?